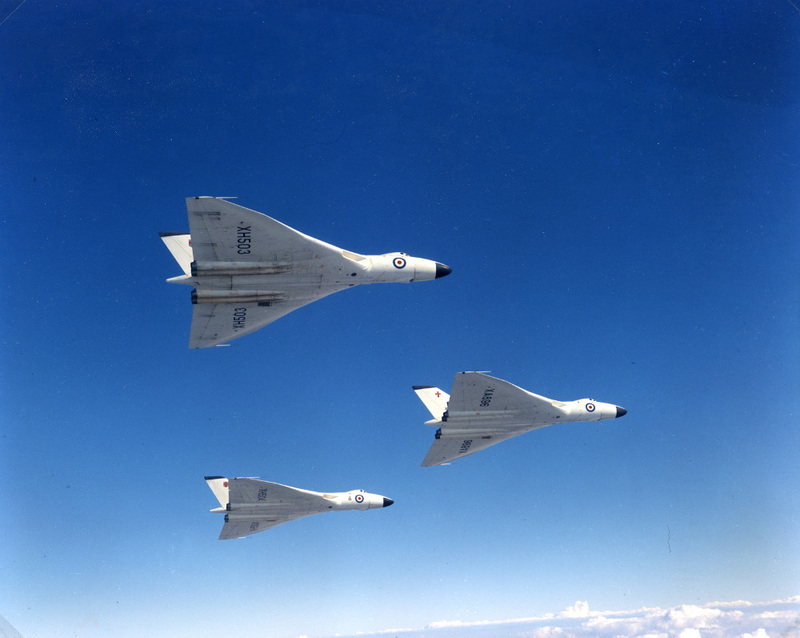 The first mark of Vulcan (the B1) entered service initially with 230 Operational Conversion Unit, based at RAF Waddington, near Lincoln. 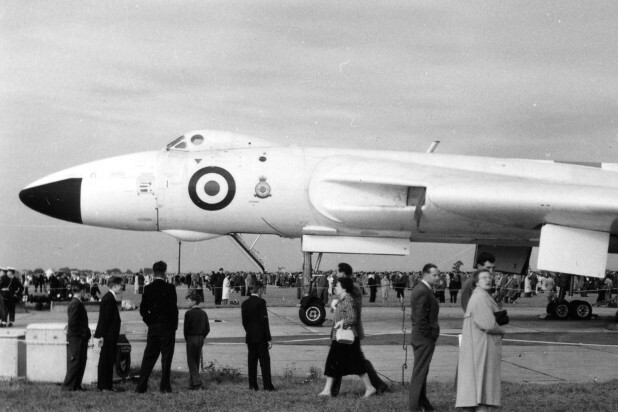 The first operational unit, 83 Squadron, formed shortly afterwards at the same base, followed by 101 Squadron at RAF Finningley, Yorkshire, and 617 Squadron at RAF Scampton, also near Lincoln. These first squadrons were equipped with Blue Danube, Britain’s first atomic bomb, and Violet Club, an early thermonuclear weapon. Both of these were later superseded by Red Beard and Yellow Sun, another thermonuclear device. 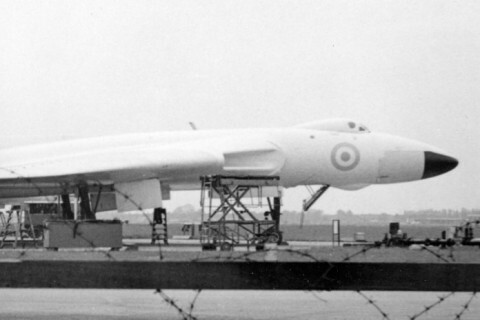 The aircraft could also carry conventional weapons, the Vulcan’s load being a maximum of 21 1,000lb high explosive bombs. 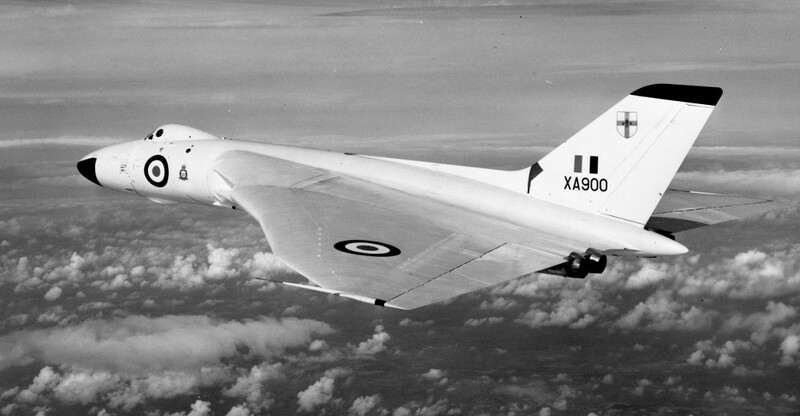 Powered by four Bristol Siddeley (later Rolls Royce) Olympus turbojets, the Vulcan B1 had a top speed of 625mph and could reach heights of up to 55,000 feet. 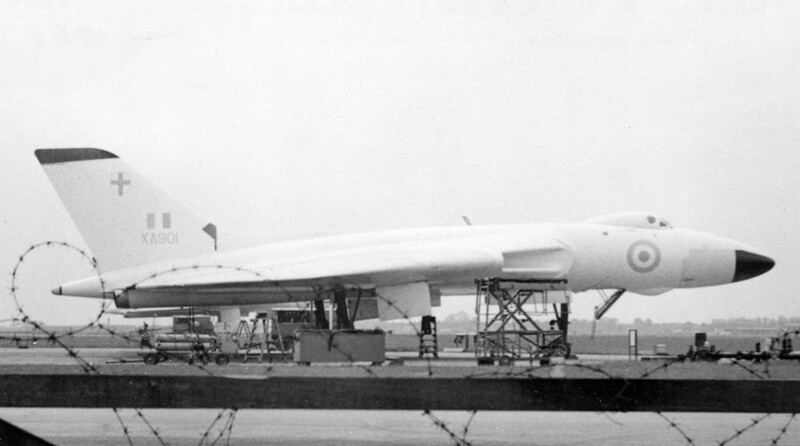 97 feet long, and with a wingspan of 99 feet, it carried no defensive armament, relying on speed and height for protection from Soviet fighters and surface-to-air missiles (SAMs). 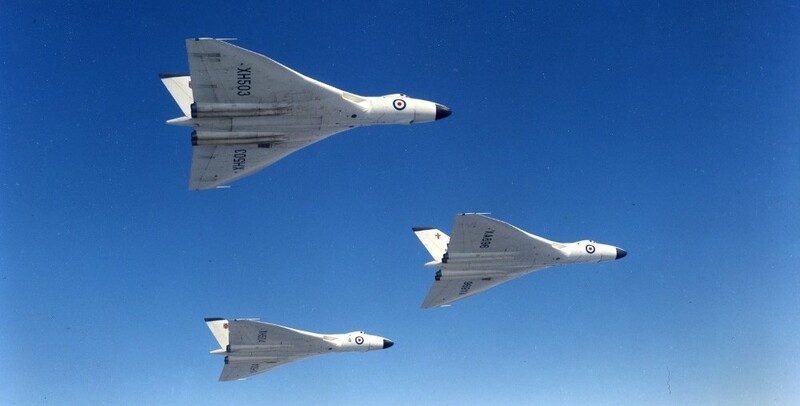 The Vulcans were painted in all-over white, to protect their sensitive electronics from the extreme heat of nuclear explosions.